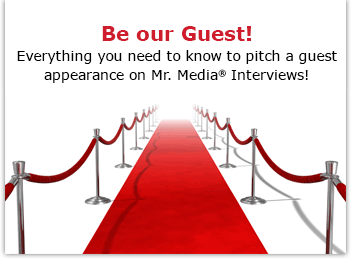 Mr. Media is recorded live before a studio audience of everyone who has played the President of the United States in recent years, including Bill Pullman, Morgan Freeman, Dennis Haysbert and George W. Bush… in the NEW new media capital of the world… St. Petersburg, Florida! Watch an episode of the NBC comedy ‘1600 Penn,’ available from Amazon.com by clicking on the photo above! It’s a very funny moment in the show. And it really puts you on notice: What did executive producer and co-creator Jon Lovett hear and when did he hear it? Lovett, before going to Hollywood, was a real-life speechwriter for President Obama in America’s other dream factory, Washington, D.C. So some of the real fun of “1600 Penn” is likely to be deciding what is based on truth, what is make-believe, and what is the stuff Lovett wished were going on at 1600 Pennsylvania Avenue — The White House. It also gives Jason Winer, Lovett’s co-creator and executive producer of the show, an unusually deep resource and partner in crime for a comedy that is as politically erudite as it is emotionally awkward. Winer knows awkward and funny: he directed the pilot of “Modern Family” and many episodes since, as well as several “New Girl” installments. “1600 Penn,” which airs Thursdays at 9:30 p.m., stars Josh Gad from the Broadway hit “Book of Mormon,” frequent presidential impersonator Bill Pullman, and former “Dharma & Gregg” star Jenna Elfman. It’s a quirky mix of “30 Rock” and “Arrested Development,” with a little of “The West Wing” thrown in.